Hello, great friends of the internet! It’s back in the 80’s here in Cbus and my body is a tad bit confused. Better than snow, though! I woke up craving savory, so eggs it was! 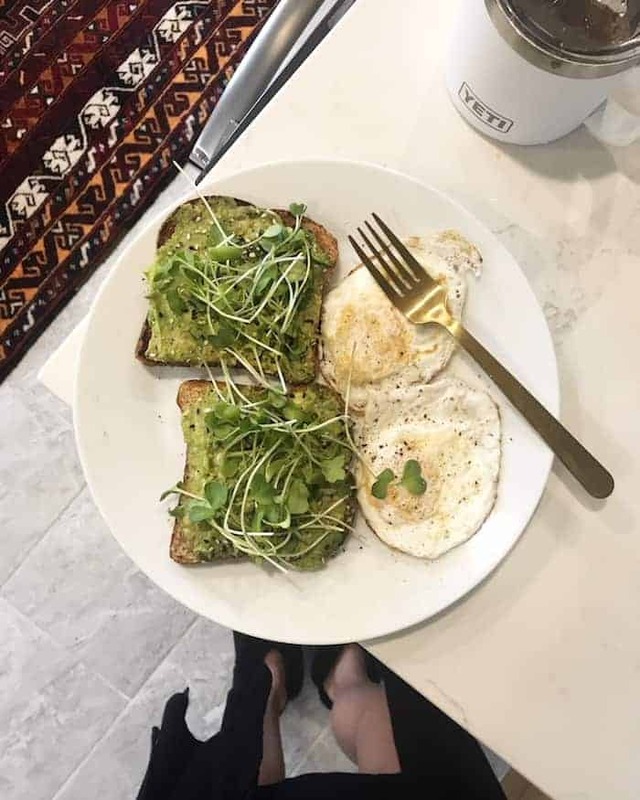 Two organic fried eggs plus two slices of Trader Joe’s sprouted wheat berry bread with avocado, everything bagel spice, and micro greens from our CSA. Coffee in my beloved Yeti mug! 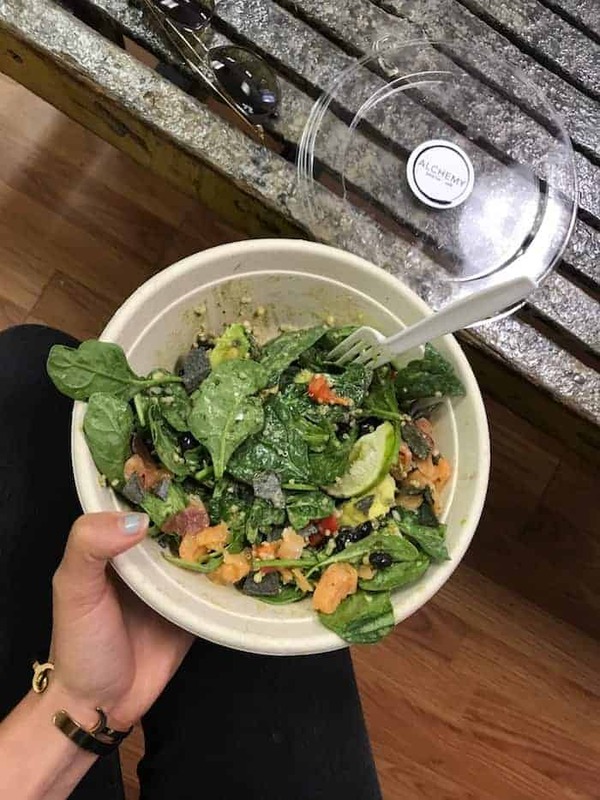 Lunch was Alchemy Grandview’s Fiesta Green salad (spinach, arugula, black beans, charred pineapple, ancient grains, blue corn tortilla chips, avocado, and cilantro lime hemp dressing) with smoked salmon. So yummy! 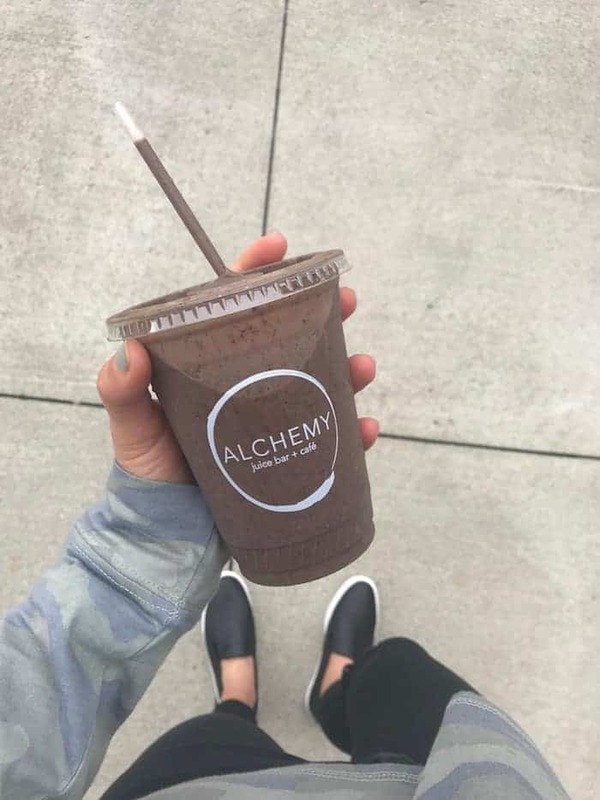 Afternoon fuel was a smoothie with banana, blueberries, turmeric latte spice, almond butter, spinach, chocolate plant protein, and almond milk. Tastes kinda like a graham cracker! 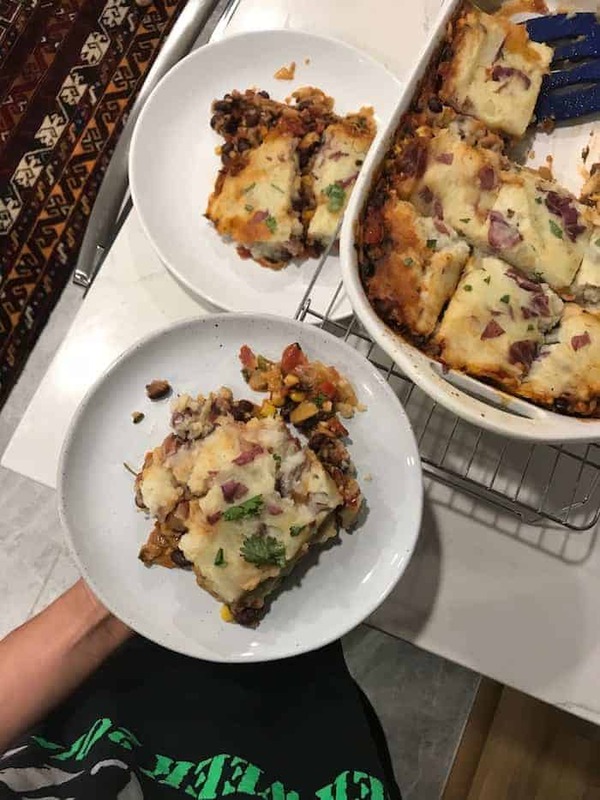 I made this Tamale Sheppard’s Pie for dinner on Sunday because I had tons of tomatoes to use up and it was great! I loved that it made a huge pan to last us for dinner a few days. I had two helpings plus unpictured salad. Pumpkin cookies! 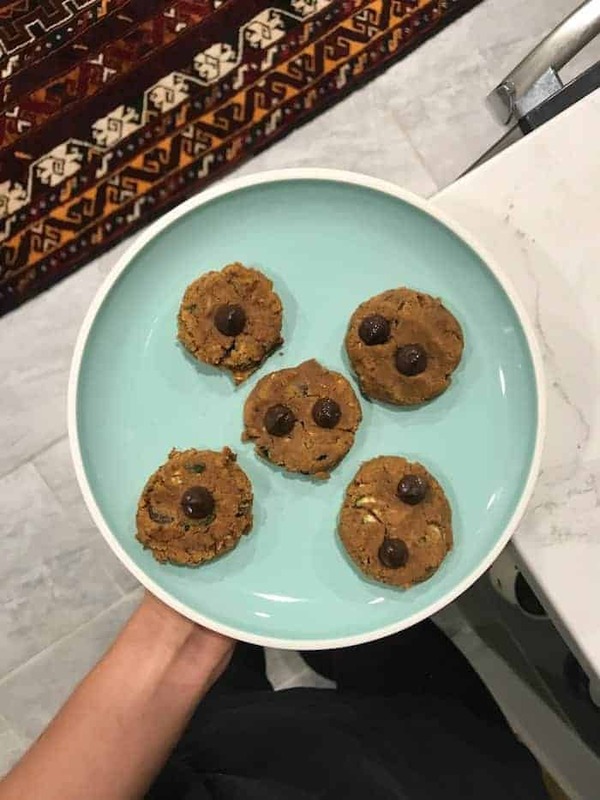 I used my Banana Zucchini Cake Cookies as inspiration and subbed pumpkin for the banana, added a bunch of pumpkin pie spice, and added maple syrup to make up for the sweetness in the banana. So soft and yummy! Lots of exciting things happening in the style department! First, LOFT had a 50% off everything online sale through Monday evening so I’ll post my favorites from the sale below. Unfortunately the sale is no longer going on, but there are some other sales. J Crew is also having a 40% off sale with code BIGSALE. These ankle boots in melted caramel and these velvet pointed toe slides are on my favorites list! I rocked my favorite plaid ruffle flannel and green utility jacket (both from Nordstrom Rack last year) at Catawba Island last weekend. Also totally buying this yellow cable knit sweater for fall! One more look! 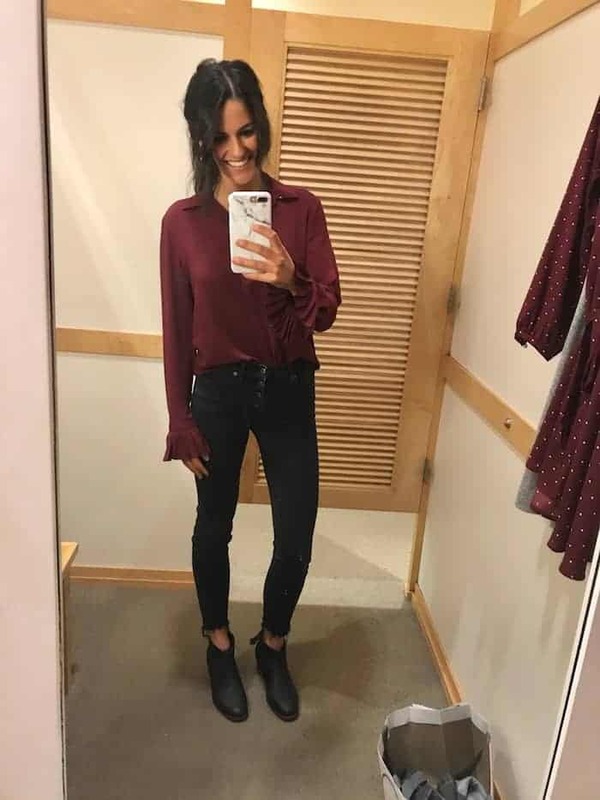 My top and jeans are both from Madewell and are up to 30% off right now with code ONYOURMARK. Details: my favorite black jeans, denim wrap top (here’s a similar star one on sale from J Crew), tassel hoop earrings, and black booties. If you have any questions on sizing, don’t hesitate to leave me a comment and I’ll respond as quickly as I can. Have an amazing Wednesday! Isn’t it so great for fall?! That smoothie sounds so good!! I want to try to recreate it. ? 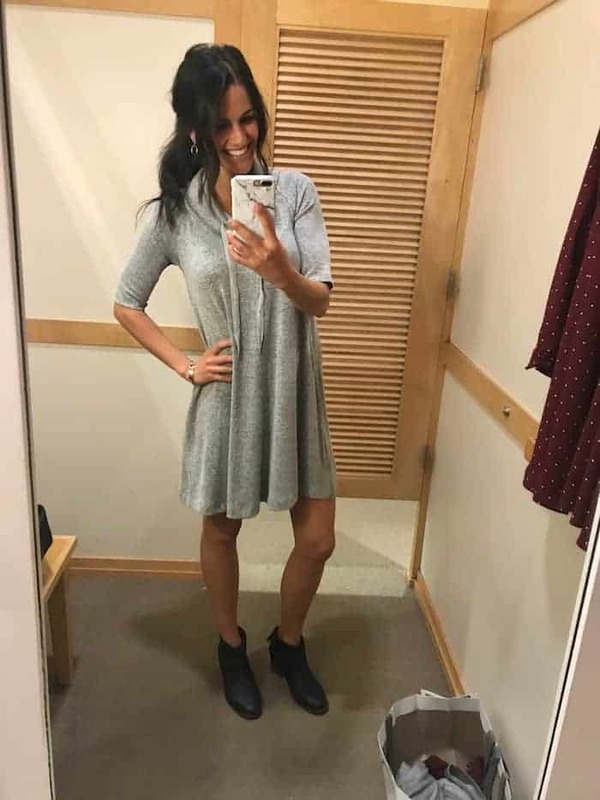 Loooove all of your fall fashion! Your plaid ruffle flannel + utility jacket is incredibly cute! It’s amazing. I love it. especially your fashion which is very attractive. Thanks for sharing. Your all post are rocks!! Awesome styles, looks very posh and gorgeous. That savory breakfast has been similar to what I’ve been eating and craving every morning – can’t beat it! That tamale pie looks great.! Thanks for passing it on. I’ve got to try that choc Skoop powder soon. Is choc better than the vanilla flavor? MMMMM. That graham cracker tasting smoothie sounds right up my ally! Any chance you’d send it to me? I’ll send you a necklace (finally).. I always look forward to your Wednesday posts! 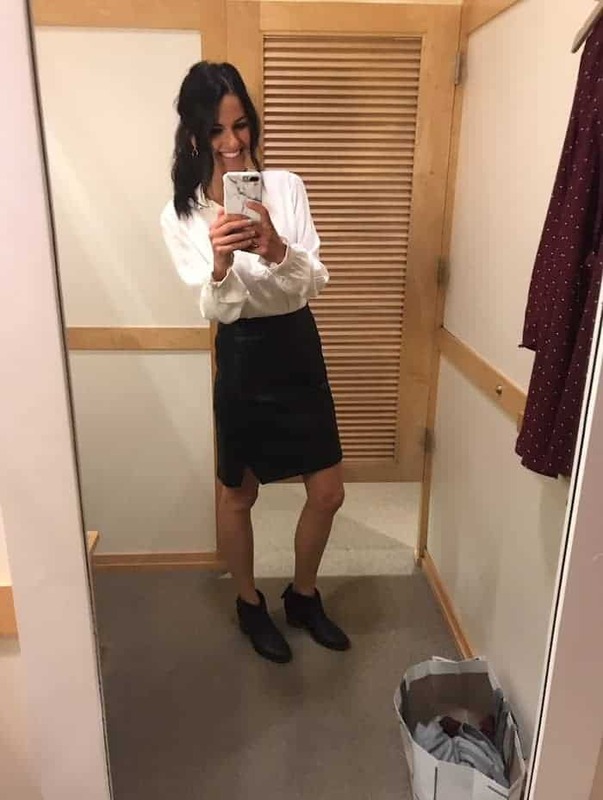 Keep the fashion posts coming! Thanks for sharing this post with us. I am little bit interested to get more information about Denim. I would like to share my opinion on denim.In 90s the denim pattern continued with numerous small modifications, the place ‘Britney Spears’, ‘Justin Timberlake’ and plenty of different actors and actresses rejuvenated the reintroduced the denim vogue, and saved it alive on this vogue world.